Columbia Pictures’ Venom maintained the #1 position at the global box office, bringing in $35.7 million domestically and another $69.7 million internationally for a global haul of $105.4 million. The Spider-Man less spin-off now sits at $142.8 million stateside with an international total of $235.3 million. Globally the film has brought in $378.1 million, and could become Sony’s highest grossing 2018 release. Directed by Ruben Fleischer, the film stars Tom Hardy, Riz Ahmed, and Michelle Williams. Venom is produced by Avi Arad, Matt Tolmach and Amy Pascal. 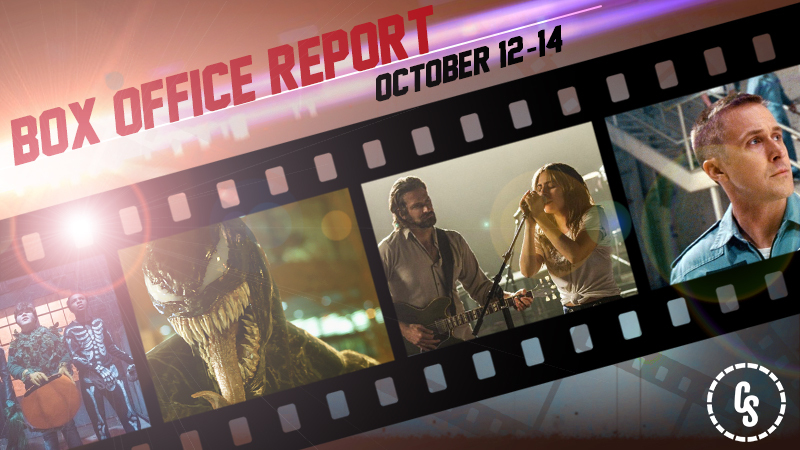 Warner Bros. Pictures’ A Star is Born held onto the second place position with another $28 million, dropping just 34.7% weekend to weekend. The film now sits at $94 million domestically with another $41.2 million from international markets. A Star is Born stars four-time Oscar nominee Bradley Cooper and multiple award-winning, Oscar-nominated music superstar Lady Gaga (as Stefani Germanotta), in her first leading role in a major motion picture. Cooper helms the drama, marking his directorial debut. Universal Pictures‘ Oscar hopeful First Man opened in third place with $16.5 million. The film added $8.6 million from its early international releases to its domestic total for an estimated worldwide haul of $25.1 million globally. The debut marks director Damien Chazelle’s highest opening, but presents a red alert for the mid-sized budget movie (estimated to have a $60 million budget). Ryan Gosling stars as Neil Armstrong in the film alongside Claire Foy, Corey Stoll, Kyle Chandler, Jason Clarke, Shea Wigham, and Jon Bernthal. Sony Pictures‘ Goosebumps 2: Haunted Halloween opened in fourth place just behind First Man with $16.225 million, a dip from the first film’s haul in 2015 which opened to $23.6 million. The family horror comedy is directed by Ari Sandel and stars Madison Iseman, Jeremy Ray Taylor, Wendi McLendon-Covey, Caleel Harris, with Chris Parnell, and Ken Jeong. Warner Bros. animated adventure Smallfoot fell from third to fifth place, adding another $9.3 million to its total for a domestic haul of $57.6 million. The animated adventure added $14.5 million from international markets, giving it a worldwide total of $110.2 million. Smallfoot boasts an impressive voice cast, including Channing Tatum, James Corden, Zendaya, Common, LeBron James, Gina Rodriguez, Danny DeVito, Yara Shahidi, Ely Henry, and Jimmy Tatro. 20th Century Fox’s Bad Times at the El Royale opened in seventh place, bringing in $7.225 million. The Drew Goddard crime thriller opened to about half the director’s first feature, 2012’s The Cabin in the Woods, which debuted in third place with $14.7 million. The original feature stars Chris Hemsworth, Jon Hamm, Jeff Bridges, Dakota Johnson, Cynthia Erivo, Nick Offerman and Cailee Spaeny. 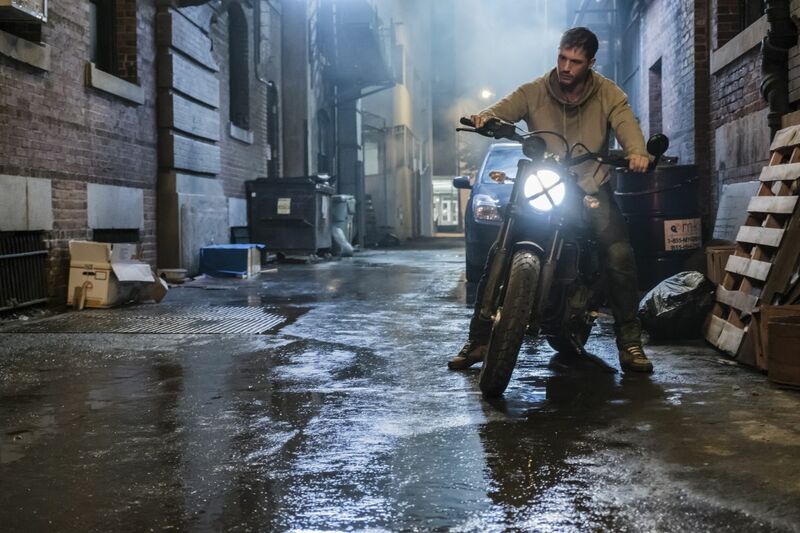 The post Venom Leads Box Office with Another $105 Million Globally appeared first on ComingSoon.net.